No mention is made in the book "Houses of Kerry" by Valerie Bary of any place called "Dingle House", however, from "Notable Irish Places", 1814, Robert Hickson is shown as of Dingle House. Could this be a mistake for The Grove, Dingle? 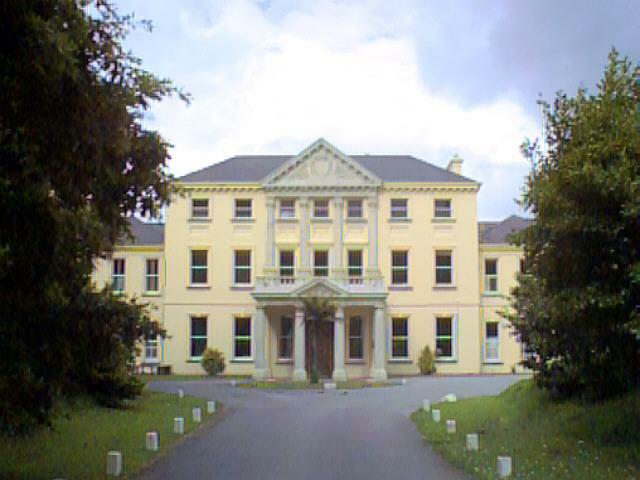 There is a building, now known as Colaiste Ide (The College), but formerly known as Burnham House, Dingle, to which I was directed in my search for Dingle House. This was the Seat of the Rice family in the sixteenth and seventeenth centuries, but, following the Cromwellian Wars, passed to Colonel Frederick Mullins (or de Moleyns) in 1666. He greatly enlarged it and his decendants, including Lord Ventry, occupied it until after 1922. It seems extremely unlikely that it was ever a Hickson residence, but I include a photograph just for completeness.